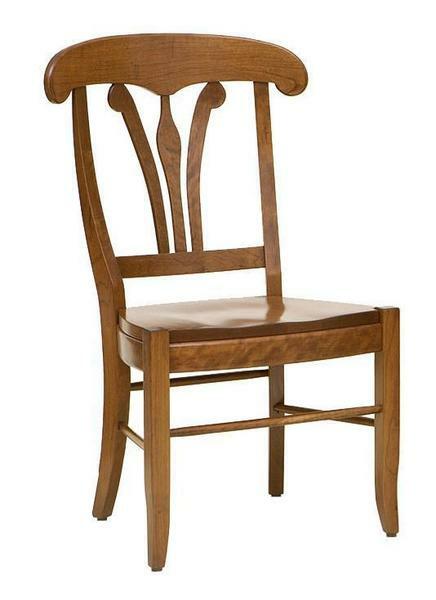 These Amish French Country Dining Chairs have a distinct elegance with their gentle curves in their backs, crowns, and arm supports. They are sure to bring warmth and character to your dining room. Pair these French Country dining chairs with one of our farmhouse dining tables and sideboards for a complete set. Call one of our Amish furniture specialist today for help with finding the perfect furniture, to receive wood finish samples or to get an order started. You also can stop by our store in Florida if you are in the area we would love to meet you.